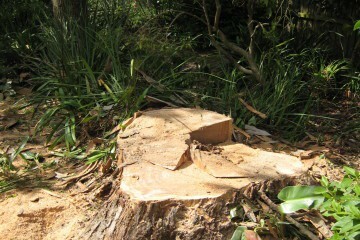 The removal of a tree from its standing form to ground level. 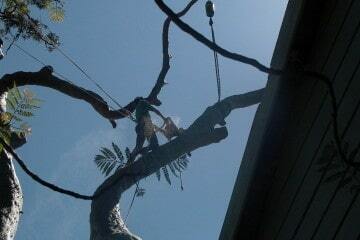 At Canopy Tree we do remove trees if it is justified and the permission is granted from your local council. When a stump is removed to below ground level or completely removed from the ground. Canopy Tree has the ability to remove stumps of all sizes in all access situations. Land clearing is the process of fully removing all trees within an area so that the land can be used for different purposes. 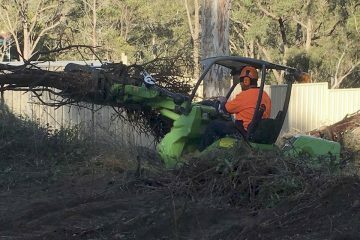 Land clearing is often a necessity for many land and property developments. 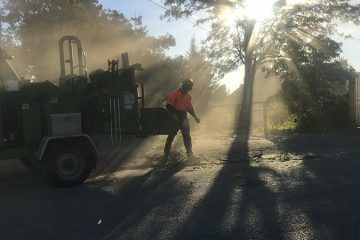 Where the client has requested to remove the tree cuttings from site, we will use a wood chipper to chip all material into the back of one of our containerised tipping trucks. 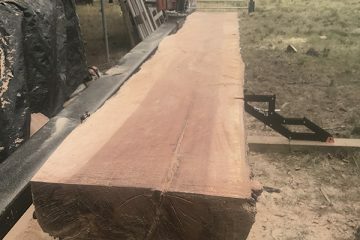 We can perform on-site or off-site milling & slabbing if you would like to keep a slab or two for that outdoor table and chairs, bench top or anything else the mind may conjure! Canopy Tree Arborists Sydney, Macarthur & The Southern Highlands for all your tree needs.